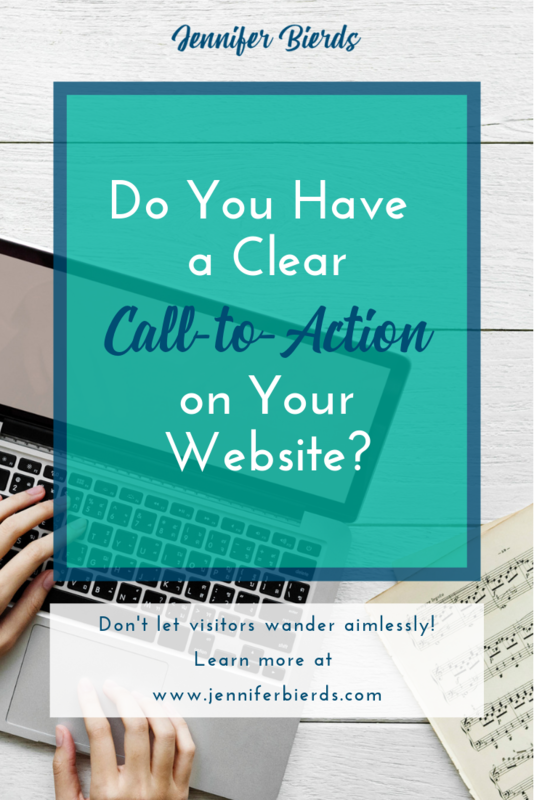 Do You Have a Clear Call-to-Action on Your Website? When potential customers come to your website, three things should be super clear: who you are, what you do, and what they should do next. They shouldn’t have to scroll, or click around on your website randomly to figure any of this out. Those visitors should be strategically guided through your site based on your calls-to-action. Your call-to-action is what you tell your visitors to do - join a newsletter, shop your product, schedule an appointment, etc. When I do my free website critiques, one of the things I look for is that this information is above the fold. Obviously, I’m Jennifer Bierds, I design websites for small businesses, and I want you to do is “Get Yours Here”. That’s pretty clear, right? Visitors make a decision in the first few seconds of visiting your website whether or not they want to stick around longer. The odds are, if they have to work to figure out what your website is about, they’ll leave and go to another one. The longer people stay on your website, the better that is for your SEO, so you definitely want to keep them around. Beyond your home page, it’s important to have a call-to-action throughout your website. Your goal is to guide your visitors through your site to the thing you ultimately want them to do. Back to the bakery example, you may have a gallery page with images of your past work. Strategically placed on the page with the images of beautiful custom baked goods, you could have another “Order Now” button. Another place you want to ensure you’re always including a call-to-action is on your blog. 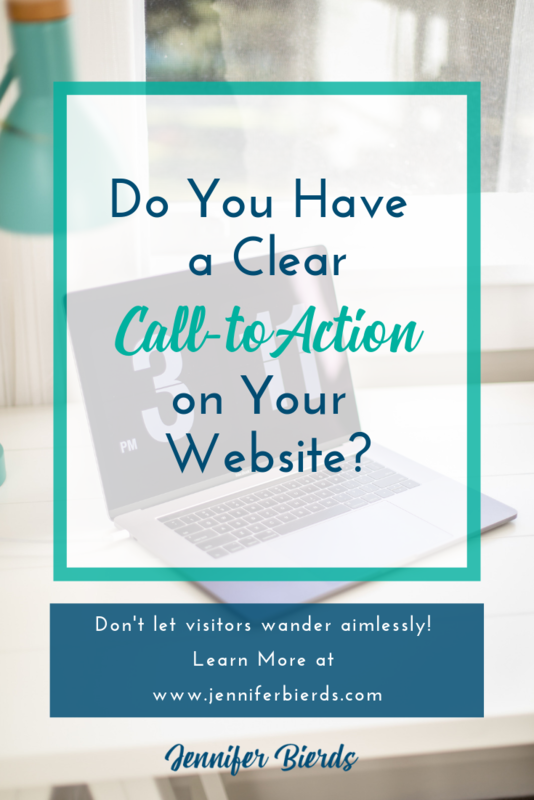 At minimum, you want to have a call-to-action at the bottom of your blog posts, so once visitors are done reading, they’re guided as to what to do next. You’ll see mine at the bottom of this post is to book a free call with me - you should try it out ;). It’s important not to overwhelm your visitors with too many things to do. At the very most, you may want to give them two calls-to-action on a page, but make sure the one you want the most is displayed first. Other options for creating calls-to-action on your website include an announcement bar, an exit pop-up to catch visitors before they leave, and placing one in your footer. You’ll see in my footer that you can easily book a call with me, or request a free website critique, and these options are visible from every page. Calls-to-action are easy to include in your website, so don’t miss out on the opportunity to draw in potential paying customers and clients. Strategically placed, you will give them many ways to take action and move forward with your small business. Just make sure that your CTAs are clear, and try to focus on just one or two at most. If you have any questions, feel free to contact me! And, if you’re in the market for a custom website of your own, go ahead a book a call with me here. You can also click through below to see what’s possible before we chat.